This year Fenabel returned to Milan with new models designed by the renowned designers Aitor Garcia de Vicuña, Area 44 and Paco Camus. They have contributed in the development of the new collections, helping Fenabel to rise in a new level of design, comfort and elegance. Aitor Garcia de Vicuña has deepened the Nuzzle collection, this collection is having huge success since being presented at Isaloni 2018, and the public is surrendered by the elegant and modern lines. Alongside the new Nuzzle models, Aitor proposed to Fenabel a new collection, ideal for offices, hotel lounges or even residences – the Stone Collection, with a design similar to a stone that is possible to find near water, transmitting fluidity and calmness to any space. This collection is modular, which means that we can play with various pieces and create social zones or meeting places, thus allowing a large number of solutions for each space. Area 44 developed the Audrey and Nature collections. Audrey is a collection that emphasizes the curved and soft forms that goes against the design trends, which are moving away from the industrial style, cold and austere giving way to warmer and more welcoming environments. Taking this trend into account, Area 44 developed the Nature Collection, inspired by the visual game of bamboo reeds and the comfort they convey. A collection with enormous detail, where attention to details and comfort were taken to the extreme. The continuous search for innovation and new horizons has led Fenabel to collaborate with designer Paco Camus. With bold style, this designer has created a prominent piece, Tula. An armchair with the ideal design for the Salone del Mobile, which will certainly be one of the attractions of Fenabel’s stand. We say “arrivederci” to Milan, with the feeling of mission accomplished, our heart is filled with excitement due to all the feedback we’ve got from our clients and visitors. Thank you to everyone who has visited us and to the one who have worked with us, so that this was the best Salone del Mobile ever. 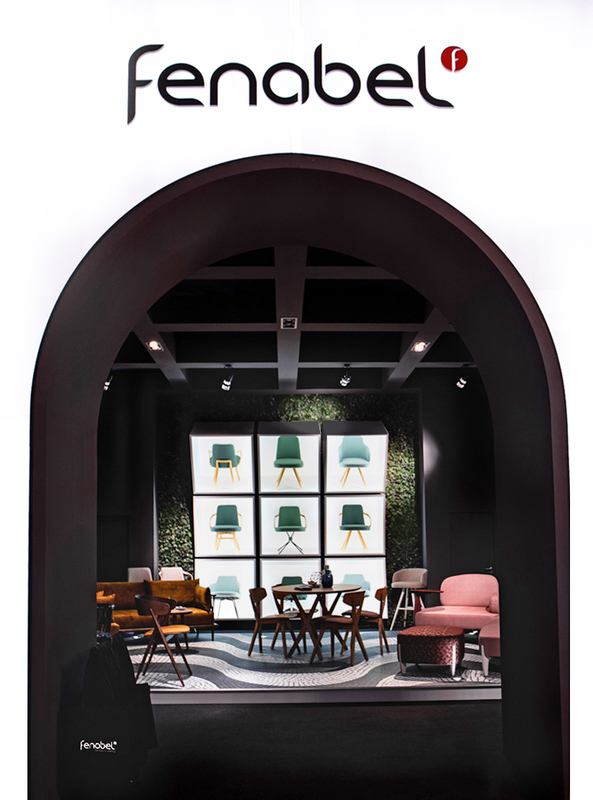 Download the Fenabel’s Salone del Mobile 2019 catalogue.